Julian Draxler insists that PSG have no issues with Neymar, amid reports of tension in the club's dressing room. PSG broke the world transfer recored to sign the Brazil international from Barcelona in the summer, and he has since scored 11 goals in 12 games in all competitions, as well as providing nine assists. However, reports have suggested that several of PSG's players are upset with the way Neymar is overindulged, having already fallen out with fellow forward Edinson Cavani over penalty taking duties. Draxler, though, maintains that there is no ill will towards the forward. "It is normal that many things are written about a superstar like Neymar, also lots of bulls***," he told reporters. "He's a very polite and nice guy who knows how important he is for the team. For a player like him it is okay to demand privileges. No one at PSG is jealous or angry with him. We are happy that he is with us." Neymar has formed a close understanding with Kylian Mbappe at PSG, the teenager shining in Paris since his initial loan move from AS Monaco. Mbappe has scored six goals in 14 games, and Draxler's Germany will face off against the 18-year-old on Tuesday when France travel to Cologne. "We already joked in the PSG dressing room," Draxler said. "I said that we will win, though he thinks that Germany is a bit overrated." 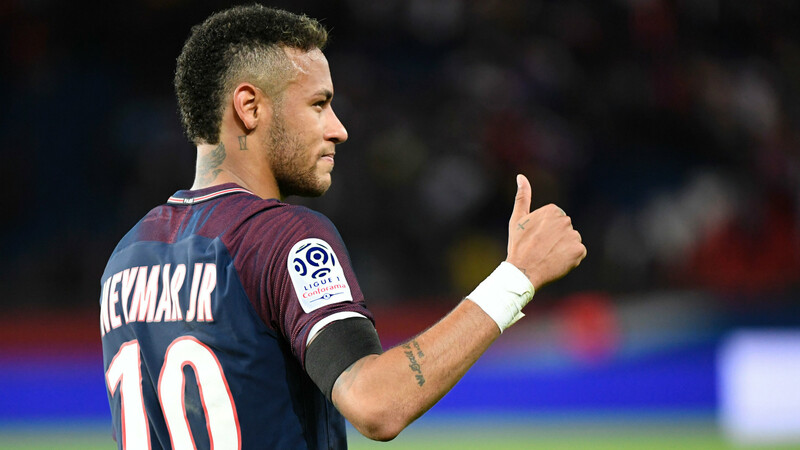 'Neymar is world's best but Messi from another planet' Mbappe: Neymar feels good at PSG Five talking points from Japan 1-3 Brazil What is Neymar's net worth & salary?